Welcome to the Bravado Nursing Bra Giveaway hosted by Mama Banana's Adventures and sponsored by Nursing Bra Express. Nursing Moms deserve pretty bras too! Ever look at the nursing bra selection and wonder where the feel a little left out? Leave your worries aside and check out the amazing selection of attractive nursing bras including this beauty from Bravado! 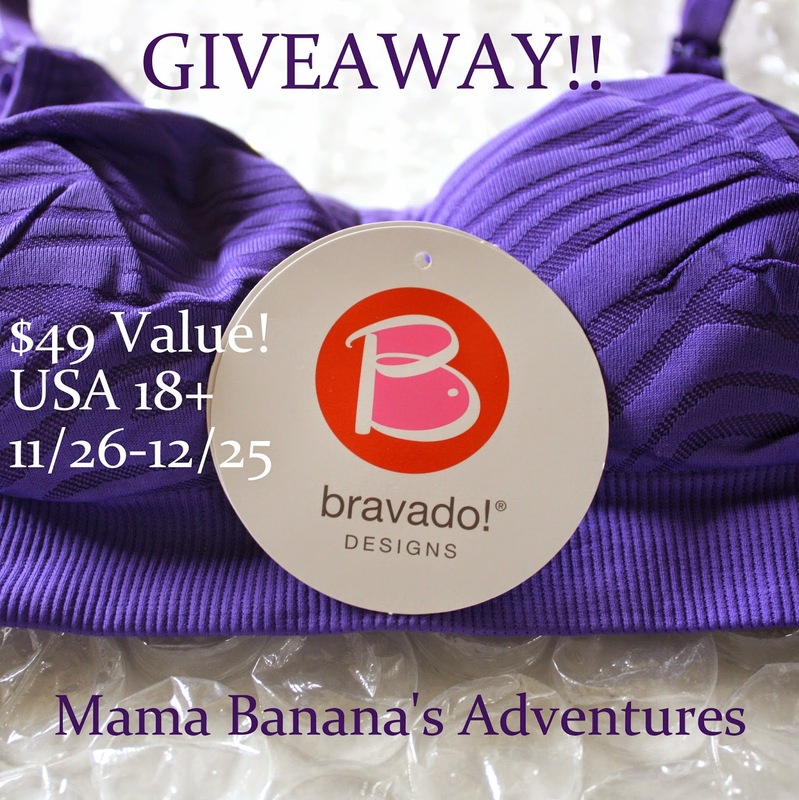 One lucky Mama will win this amazing bra in Jungle Purple or Jungle Berry valued at $49! Read the full review from Mama Banana's Adventures and make sure to enter below! Thanks for stopping by and a wonderful thank you to participating bloggers! Disclosure: This is not a sponsored post, Latched On Mom is not responsible for prize fulfillment and has not been compensated. Prize will be shipped out to 1 USA winner 18+ by Nursing Bra Express. Winner will be contacted via e-mail after contest closes and have 48 hours to respond. Thanks for stopping by!